Career development planning is the process of career review and decision-making – a cyclical process that we come back to at several stages in our lives. 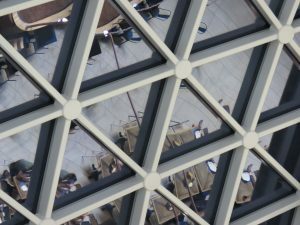 The process of career development is not just for those beginning their careers and making initial choices or negotiating mid-life career change. It is equally applicable to the task of career maintenance – of gaining a progressively better fit between individual needs and work performed. Career planning tools have, however, become very elaborate and sometimes serve only to confuse the user. They often give the impression that the career development planning process is more complicated than it needs to be. In response to this trend I have published a simple tool (called “My Career Development Plan”) specially for those planning a career change. It contains a guided introduction to the content of the planning tool and some suggestions about the process of career planning. In part two, you will find a copy of the “My Career Development Plan” tool that you can copy and use yourself. The tool has five sections within which you organise your own personal content. Once you have completed all five sections you will have your own career development plan for the future. Each of the five sections will, of course, expand to accommodate the content your plan requires. 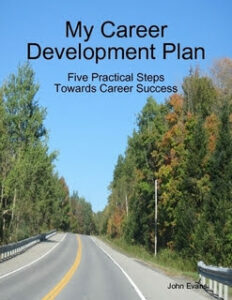 “My Career Development Plan” is now available here.